In 2009, the Bill and Melinda Gates Foundation launched an ambitious project to improve teacher effectiveness among certain primary and secondary schools in California, Florida, Tennessee, and Pennsylvania. The goal was to reform teacher evaluations. More effective teachers, the foundation predicted, would improve student achievement, raise graduation rates, and help low-income and minority students get into college. About $1 billion went into the Intensive Partnerships for Effective Teaching initiative, with the Gates Foundation itself pouring over $200 million into a group of school districts and charter school networks in the four states. The initiative, designed to last seven years, ended in 2016. This year, the Rand Corporation released a reportconcluding the program had failed to dramatically improve student achievement or graduation rates. Bill Gates himself noted the initiative’s poor results in a speech last fall, saying his foundation will no longer invest in teacher evaluation. Speaking at a Harvard event in April, Gates said his foundation has failed to elevate the US education system to the top despite hundreds of millions of dollars in donations. Now the Gates Foundation is trying a new approach: It has given out $92 million in grants through a new initiative, called Networks for School Improvement (NSI), to 19 organizations that work with middle and high school students across at least 12 states. The Gates Foundation plans on spending more than $450 million on NSI over a five-year period. Unlike the previous initiative – which implemented classroom observations and student surveys of learning conditions and teacher professionalism – NSI will not introduce sweeping reforms among participating schools. Instead, the foundation is encouraging grantees to determine how to solve problems that are specific to a particular group of schools or students. Some of the grantees’ goals include increasing the number of black, Latino, and low-income students who successfully complete eighth-grade math; increasing the number of students who are on track by the end of their freshman year to graduate from high school on time; and making sure high-achieving students do not enroll in colleges that are less rigorous than what they are qualified for. Several professors who specialize in education and public policy said the Gates Foundation’s new initiative is a step in the right direction, but they are concerned about NSI’s potential to fall flat like its predecessor. The Gates Foundation’s teacher effectiveness initiative tried improving students’ performances by overhauling how teachers are evaluated. In Memphis, Tennessee, reforms like classroom observations and student surveys appeared to improve student achievement in Shelby County Schools, then known as Memphis City Schools. The district offered few evaluations before the Gates Foundation stepped in. But the changes also produced some challenges; a few years in, a number of teachers felt demoralized and stripped of their job security, while principals realized they had not been adequately equipped to change schools’ teaching culture, according to Chalkbeat. By March 2016, elementary school students in the district were scoring in the 30th percentile on math and reading assessments, far from a 60% proficiency goal. Middle school students were behind as well, scoring in the 40th percentile. The Rand Corporation acknowledged in its report that schools succeeded in implementing new ways to evaluate teachers, mainly through direct classrooms observations and patterns in student achievement. But Madhabi Chatterji, a professor of measurement, evaluation, and education at Teachers College, Columbia University, told Business Insider that assessing teacher effectiveness based in part on student outcomes was too simplistic. “They undertook something that is so broad and difficult to define in terms of a problem that to find black-and-white results that can be documented on a large scale would be very difficult,” Chatterji said. Student achievement is measured through standardized tests, but Chatterji said teachers only account for a relatively small percentage of how students perform. Most of the variance in test scores can be attributed to students’ prior performance in a given subject area and their background, such as socioeconomic status, she said. Chatterji added that while the Rand report painted the Gates Foundation’s initiative as a failure, an analysis of such a large program after a short period of time may not even detect positive outcomes. Sue Desmond-Hellmann, the Gates Foundation’s CEO, told Business Insider that the teacher evaluation initiative provided the foundation with valuable information for future projects, adding she is excited about supporting teachers and principals on a local level. 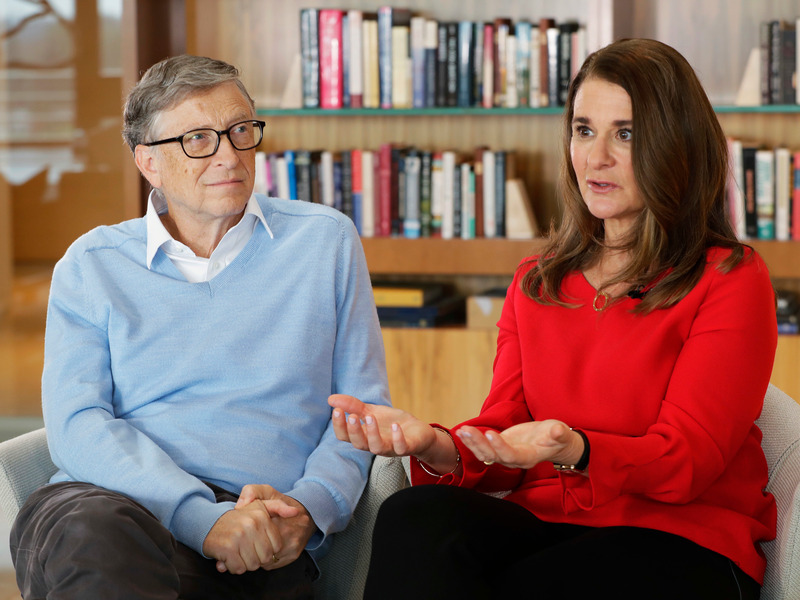 “Sometimes, the best thing the Gates Foundation can do is enable others to share best practices and learn from each other,” she said. Katrina Bulkley, a professor of educational leadership at Montclair State University, told Business Insider that private foundations’ engagement with education policy is both helpful and challenging. Some foundations don’t place much weight on understanding the needs of the communities they try to help, she said, but they still provide important resources that schools may not otherwise receive. The Gates Foundation has been criticized for its management approach, likened to treating grantees like contractors instead of partners, according to research conducted for Megan Tompkins-Stange’s book on the Gates Foundation and other large philanthropies. Tompkins-Stange, a professor of public policy at the University of Michigan, has said this strategy is ineffective in the long-term. Tompkins-Stange, who could not be reached for comment, told Non-Profit Quarterly that the Gates Foundation “has perhaps listened to some of the criticism” while creating NSI. But Sarah Reckhow, a professor of political science at Michigan State University, said NSI is not a total shift for the foundation. “They are funding some of the same old grantees they have funded in the past, so I wouldn’t overemphasize it as breaking strategy,” Reckhow said. The New York City-based New Visions for Public Schools, for example, recently received a five-year, $14 million grant. Since 2000, the organization has received more than $75.6 million in other grants from the Gates Foundation. Reckhow said NSI reminds her of the Annenberg Foundation’s Challenge grants, which allocated a total of $500 million in the 1990s to 18 public education programs that supported networks of schools. Chatterji, the Columbia University professor, sees potential in some of the NSI grantees. She said a few projects seem to have well defined, targeted goals that could produce measurable outcomes in a few years. On the other hand, Chatterji said she worries many of the grantees won’t produce observable effects because they seem vague, are broad in scope, and aim to produce a major change in a short amount of time. As a whole, using funding to support local programs is consistent with research on school improvement, Bulkley said. The NSI initiative is trying to empower local organizations in a way that the Gates Foundation has sometimes failed to do, she said. Reckhow noted that the Gates Foundation is a lot more transparent than peer organizations. Its grants can be searched, and the foundation hires researchers to release public reports on its progress. She added that the foundation’s Request for Proposal is also unusual because many foundations just donate money to groups they support. She said the foundation seems to be reorienting its approach to shaping education policy, though she has not seen a “big flashiness” around the new initiative so far.